Tokyo, October 23, 2017 – Subaru Corporation has completed new test tracks for advanced driver assist technologies at the Bifuka Proving Ground in the Subaru R&E Center (Located in Bifuka-cho, Nakagawa-gun) in Hokkaido, Japan. The new test tracks will be put to full use for the development of advanced driver assist technologies from November 2017. The Bifuka Proving Ground was established in 1995 as a development facility for conducting performance evaluations in cold climates and driving tests on snow. The 361-hectare site includes a variety of test courses and handling courses, and was expanded to include a high-speed circuit in 2003. 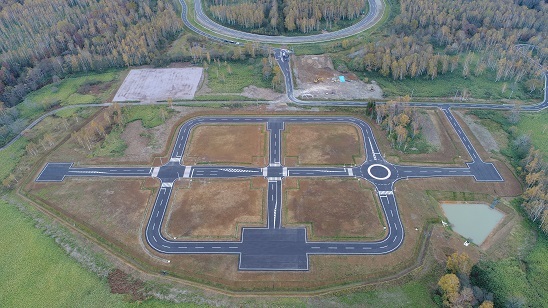 Designed to simulate actual public roads, the test tracks are used to conduct a variety of tests throughout the year. 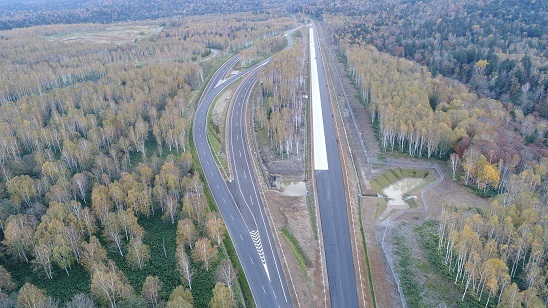 Existing test tracks at the Bifuka Proving Ground have been upgraded to build the new Advanced Driver Assist Technologies Test Tracks, to bring the test’s conditions closer to that of actual public roads. An outline of the new tracks is as follows. ・ The general test tracks have been expanded and new functions added, and the roads inside the proving ground have been expanded. ・ The proving ground’s administration building has been rebuilt. Subaru Corporation is pursuing technological development as part of initiatives to strengthen the Subaru brand set out in its mid-term management vision, in the aim of becoming the No. 1 brand for overall safety. It is particularly focused on the further enhancement of its EyeSight driver assist system. The new Levorg and WRX S4 models, which were released in Japan in August this year, are both fitted with Touring Assist, a new feature added to the EyeSight system, as standard equipment.